David Seymour officially cut the ribbon on the new hangar. Photo courtesy of Brooke Collins/City of Chicago. The $215 million investment in the new hangar and ground equipment building is the latest example in a long list of investments in ORD, including American’s five new gates known as the L-Stinger, representing the first new gates at the airport in 25 years; a new Flagship Lounge; renovated Admirals Club lounges; and an expanding list of new destinations added to the ORD route network. These improvements set the framework for American to continue to grow its operation in Chicago and throughout the network. The 191,000-square-foot structure, which is replacing a smaller hangar on the airfield, has increased bay capacity. 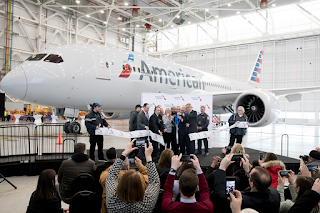 The hangar is able to accommodate six narrowbody aircraft or two narrowbody aircraft and two widebody aircraft, including the Boeing 787, on which American operates international flights at ORD. The expanded space has allowed for more overnight workload capacity in the past month that it’s been open. Its high-tech features and updated work centers provide more than 850 ORD maintenance team members with the most current tools to maintain the airline’s state-of-the-art aircraft. The new hangar facility makes way for the completion of new Runway 9C/27C at O’Hare, estimated for completion in 2020. The new runway is one of many capital improvements underway to complete the airfield modernization, which also sets the stage for the forthcoming $8.5 billion terminal expansion at O’Hare. Additionally, American opened a new ground equipment maintenance building at ORD this month, where vehicles and equipment used on the airfield — like aircraft tugs, deicing trucks and baggage carts — are maintained. The only hub carrier at ORD offering service on the Boeing 787, American will fly up to 13 787s out of ORD on peak days next summer. 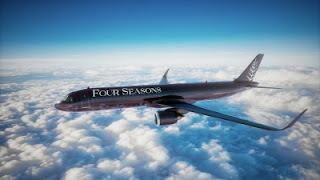 In the last five years since American Airlines merged with US Airways to create the largest airline in the world, the carrier has added 28 new routes serving Chicago. 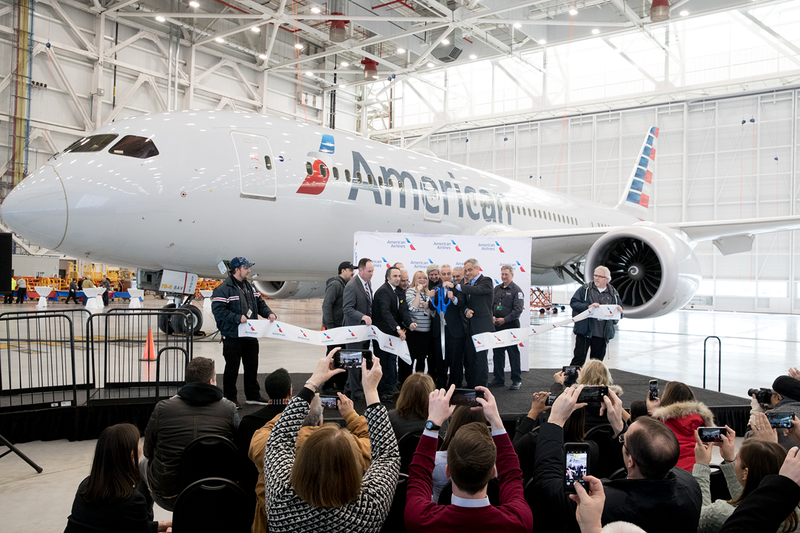 Additionally, American expanded its Shuttle product to fly between New York LaGuardia (LGA) and ORD earlier this year, offering business travellers a more convenient commute between the two business centres.